LOGAN, UTAH, USA – The state of Utah's nickname is "The Beehive State," and the moniker couldn't be more apt, say Utah State University scientists. One out of every four bee species in the United States is found In Utah and the arid, western state is home to more bee species than most states in the nation. About half of those species dwell within the original boundaries of the newly reduced Grand Staircase-Escalante National Monument. "The monument is a hotspot of bee diversity," says USU-Tooele entomologist Joseph Wilson, associate professor in USU's Department of Biology, who, with scientist and USU alum Olivia Messinger Carril, USDA entomologist Terry Griswold and USU emeritus professor James Haefner, reported 660 species now identified in the protected region in the November 7, 2018 issue of PeerJ. Carril is lead author of the paper, which describes a four-year study, funded by the U.S. Bureau of Land Management and the USDA, in southern Utah's GSENM. "We identified almost as many species as are known in the entire eastern United States," says Carril, a bee researcher based in Santa Fe, NM. "We discovered 49 previously unknown species, as well as 150 'morphospecies,' that is, somewhat unique species that don't match known species." Located in south central Utah, about 250 miles south of Salt Lake City and 200 miles northeast of Las Vegas, Grand Staircase is situated in the arid, sandstone Kaiparowits Plateau and adjacent canyons. "Many are surprised to learn 87 percent of Utah's flowering plant species live within the monuments boundaries," Carril says. "Which likely contributes to the rich diversity of pollinators." Bees found within the monument's original boundaries, she says, include ground-nesters, cavity and twig-nesters, cleptoparasites, narrow specialists, generalists, solitary and social species. 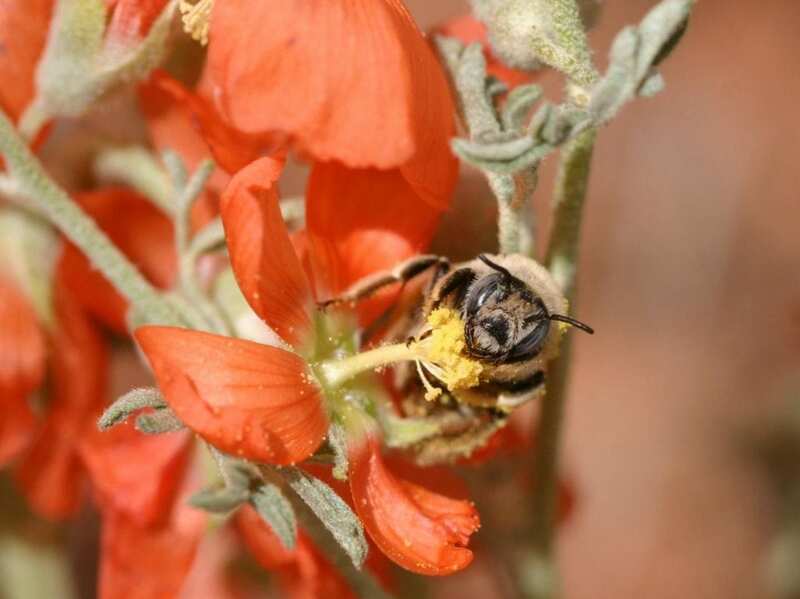 During the team's study, the bee fauna reached peak diversity each spring, but also experienced a second peak in diversity in late summer, following monsoonal rains. "It's an amazing natural laboratory of pollinators, of which we don't know a lot," Wilson says. "The large reduction of this protected areas could have implications for future biodiversity."